The eastern states of Odisha and Chhattisgarh have been receiving moderate to heavy Monsoon rains for the last many days, courtesy the depression that formed in Northwest Bay of Bengal. In the westward journey of the weather system, it weakened into a low-pressure area and thus the rains reduced over the two states, however, they were still on the receiving end of light rains. In the last 24 hours also, both the states witnessed some light to moderate spells. In the last 24 hours, from 08:30 am on Friday, parts of Odisha like Paradip recorded 24 mm of rains, Phulbani 18 mm, Sundargarh 10 mm, Cuttack 3 mm, Puri 2 mm, Sambalpur 2 mm, and Bhubaneswar recorded some traces of rains. During the similar time frame, parts of Chhattisgarh like Bilaspur recorded 27 mm of rains, Jagdalpur 2 mm, and Pendra recorded 1 mm of rains. 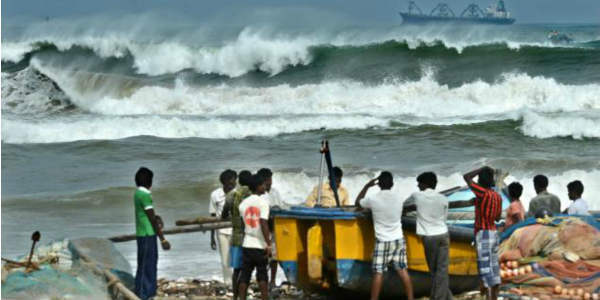 As per Skymet Weather, an upper air cyclonic circulation lies over northwest Bay of Bengal off Odisha coast which is extending up to 7.6 km and tilting southwestwards. This system is likely to intensify into a low-pressure area after 24 hours and hence, the rainfall activity is likely to increase over both Odisha and Chhattisgarh. These rains are likely to continue over the region for the next 2-3 days. The rainfall activity would also result in a gradual drop in the temperatures due to the presence of extensive clouding and occurrence of rains.